Stephin Merritt has always utilized the vocal talents of others to realize his artistic vision. His choices were sometimes a bit suspect on 69 Love Songs, but he usually has a great ear for who best coalesces for this tragic songwriting. 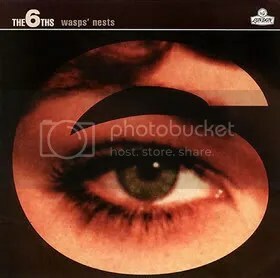 His best collaborations can be found on Wasp’s Nest, the 6ths debut, but how can you go wrong with a roster of vocalists that includes Barbara Manning, Mary Timony(Helium), Dean Waeham (Galaxie 500), Amelia Fletcher (Heavenly), Rober Scott (The Clean/Bats), Mark Robinson (Unrest), Chris Knox (Tall dwarves), Georgia Hubley (Yo La Tengo) and Max MaCaughan (Superchunk)? The music doesn’t differ from the baroque electronic indie-pop that marks his work in the Magnetic Fields. The lyrics doesn’t stray from his usual tales of unrequited love and romantic promises, but the roster of vocalists make this his best release. From Barbara Manning’s ode to the joys of the San Diego Zoo to Georgia Hubley’s rejection of a lover who can never compare to her own imagination, every element of each song is on point. The highlight is Dean Wareham’s take on “Falling Out of Love With You” which documents the dissolution of a relationship in a blase sort of way. I always loved the lyrics to this one although they sound better in performance than on your screen. It is playful, bitter, sarcastic and a downright mean rejection, but the music is so chirpy and bright that you find yourself humming along with each caustic word. Now that’s a pop song.